Looking for a stress free shopping environment in the heart of the Northamptonshire countryside? Well, the Heart of the Shires Shopping Village offers a wide range of shops for you to choose from and is open seven days a week from 10am until 5pm. Set around the perimeter of a picturesque Victorian courtyard, the shopping village offers a wonderful selection of individual shops from bridal couture and kitchenware to gift shops, as well as their popular restaurant with a tea room. “It’s like Camden in Kettering”. This unique shopping district in the heart of Kettering town centre offers a new and exciting shopping experience. With a restaurant and wine bar, home furnishings, fashion and beauty, jewellery, gifts and more, it’s the perfect spot for an afternoon of retail therapy. This antique cellar holds over 30,000 sq ft of incredible items from over 160 dealers. From furniture and ceramics to militaria and jewellery, the helpful and knowledgeable staff are on hand to help you find whatever you are looking for. If you need a break from all the browsing, you can enjoy scrumptious home baked cakes and refreshments at their lovely tea rooms. With a wonderful Gift Emporium filled with a plethora of quirky and practical gifts for everyone, Food Emporium, Plant Emporium and a restaurant serving wholesome local and seasonal produce, you will struggle to leave empty handed. This glass roofed, symmetrical mall is filled with some of the best high street stores. Buy the latest trends from fashion stores such as H&M and Zara then re-charge those batteries at Gourmet Burger Kitchen, Pizza Express or Costa. Enjoy shopping, food and entertainment, all in one place. View the full list of stores here. Northamptonshire will soon be welcoming Rushden Lakes to its collection of incredible shopping locations. With 43 shops and restaurants, including well known names such as H&M, M&S, House of Fraser, New Look and Primark all in one place, it’s the perfect place to enjoy a spot of shopping whilst enjoying this area of outstanding natural beauty. Its first store, M&S, will be opening on 28th July 2017 so you don’t have long before you can treat yourself to some retail therapy beside picturesque lakes. So there we have it. 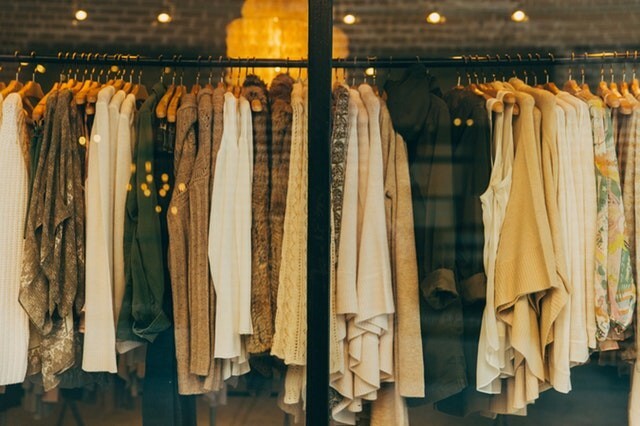 Our top spots for shopping in Northamptonshire. If you need somewhere to rest your weary head after all that browsing, head to our Boutique hotel in Northamptonshire for a luxurious and relaxed stay. Book direct for our best guaranteed rate!